If you are looking for an online tool to create incentive campaigns, display performance indicators in real time and offer thousands of rewards, look no further. 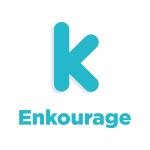 Find everything in one place with Enkourage! A tool enabling managers to create incentive campaigns, quizzes and surveys to stimulate teams. A mechanism allowing employees to obtain, accumulate and exchange points for thousands of rewards. A platform accessible at all times, on all types of devices. Bonus: a news feed for social recognition! 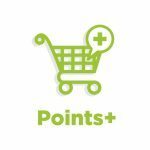 If you are looking for a simple way to assign points to your employees and provide attractive rewards, learn about Points+, the perfect tool for your contests, incentive campaigns and other initiatives! A purchasing platform with more than 3,000 products and 300 renowned brands. Exclusive, locally-themed offers, outings and much more. Pricing according to your budget.